Mastering Your To Do List! Vicky and I just finished an interview with author, Michael Linenberger, on Smart Women Talk Radio and I have to share this fabulous tip with you on time management and managing your To-Do List! I don’t know about you, but the last thing I want is a two page “To-Do List” on my desk looking at me square in the face each morning when I arrive ready to start my day. 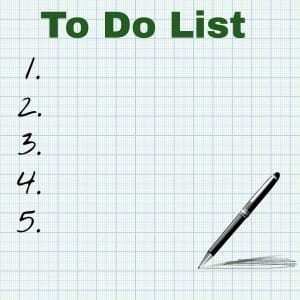 In fact, Linenberger states that research shows that individuals with long To-Do Lists experience symptoms similar to ADD and tend to lose focus, become less affective and lose discrimination as to what is even important anymore. I believe that an unmanaged To-Do list can knock our confidence creating that, “I am a loser” syndrome, simply because we are in a state of overwhelm. I love this! He states that Workday Mastery will help give you the feeling and knowledge that your life and business are flowing more effortlessly, your goals are clear and objective, and your career is developing just the way you want it to (in line with your values). In his book, Linenberger goes into detail on how to manage tasks with his “Now Task List”. I use a 90 Day Project Worksheet listing all my projects and their tasks by category.Next I take those tasks and move them to Linenberger’s Now Task List.It’s perfect! Doesn’t just reading about this take your stomach ache away?!! You can manage this list on paper, on a Microsoft Word Document or even with your Outlook Task System.You can learn more about all of this by listening to our interview with Linenberger, or visiting his website where he has created some videos on how to implement this system. Feel free to watch my videos on implementing the Perfect Life Time System and then consider using Linenberger’s Now Task System to manage your To-Do List.I and my team have been using this combined system for the last year and it’s been wonderful. I’d love to hear from you.What is your biggest challenge in managing your time and energy?How do you like these tips?